Please read Introduction and Part IA before this chapter. Other than the divisive military-security perspective and ‘dark scenario’ forecasting that’s been hitherto applied for understanding African geopolitics, there’s also the more unifying and positive approach of analyzing the continent’s financial, economic, and integrative institutions. Africa is home to two separate but very closely related currency unions, the West African Franc and the Central African Franc that are institutionalized under the West African Economic and Monetary Union (WAEMU) and the Central African Economic and Monetary Community (CEMAC), both of which comprise former French colonies (with the exception of the erstwhile Spanish-held Equatorial Guinea in the latter) whose economic unit of trade is still directly controlled by Paris. The West African Monetary Institute (WAMI) incorporates the remaining countries in the region under the West African Monetary Zone (WAMZ) and has future plans of unveiling its own unified currency, the Eco, by 2020, and aside from the once-French colony of Guinea, it is entirely formed by states that used to be colonized by the UK. Complementary to the three financial institutions that were just described (two of which already have their own shared currency but all of which are customs unions), there are two other customs institutions that need to be spoken about as well, the East African Community (EAC) and the Southern African Customs Union (SACU). 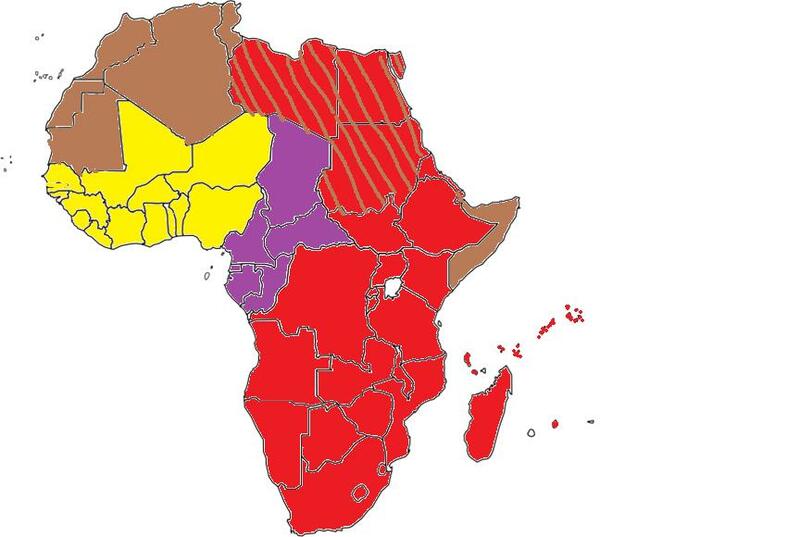 They can be identified together with the other three aforementioned organizations in the map below, and it’s useful to point out that the EAC is formed by the dual Kenyan-Tanzanian cores (noticeably excluding Ethiopia) which have just incorporated South Sudan and plan to eventually integrate into a political organization by the name of the East African Federation (EAF) , while SACU is obviously the institutional manifestation of South Africa’s regional dominance and has no forthcoming plans for further expansion. The last of the integrative institutional categories in Africa are the economic groupings that have sprung up all across the continent. The Economic Community of West African States (ECOWAS) brings together WAEMU and WAMZ into a vaguely coordinated economic framework. To the north, the states of Libya, Tunisia, Algeria, Morocco (including contested Western Sahara), and Mauritania attempted to form the Arab Maghreb Union to advance closer ties between them, but it disappointingly failed to get off the ground due to entrenched differences between Algiers and Rabat. More concretely, the Council of Arab Economic Unity, a mechanism within the larger Arab League framework, has tried to promote the so-called Greater Arab Free Trade Area (GAFTA) between its members with mixed success, but some of them (Algeria, Djibouti, Comoros, and Mauritania) have declined participation for the time being. The Common Market for Eastern and Southern Africa (COMESA) is a large interregional organization that brings together an extensive swath of space from Libya to Zimbabwe, and it contains the Intergovernmental Authority on Development (IGAD) between Sudan, South Sudan, Eritrea, Djibouti, Ethiopia, Somalia, Kenya, and Uganda within its area of responsibility. 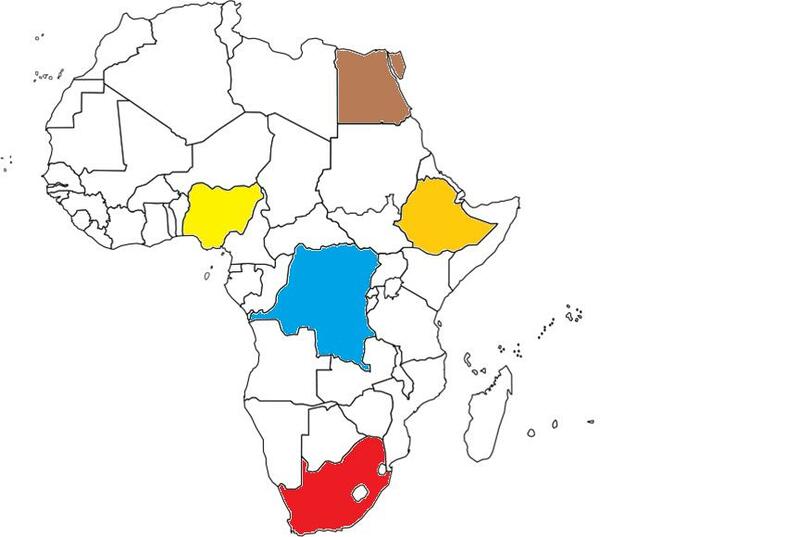 Then there’s of course the East African Community (EAC), some of whose members (South Sudan, Uganda, and Kenya) have overlapping cooperation with the COMESA/IGAD while Tanzania is in such a position vis-à-vis the Southern African Development Community (SADC), a looser and geographically expanded version of the Southern African Customs Union (SACU). It would be very difficult to craft a simple map designating the complex overlays between some of the various African states as regards this constellation of integrative organizations, but thankfully there exists the Tripartite Free Trade Agreement (TFTA) that was just signed (but is pending ratification) by all the members of COMESA, EAC, and SADC and which aims to establish a unified free trade area from Egypt to South Africa. * and the need to connect Tanzania and Zambia more closely to Mozambique and also to the existing rail network in SACU. The above map demonstrates the integral role that the East African Community (which has plans to one day integrate into the East African Federation) plays in future north-south TFTA economic integration, with it being visibly obvious that the marked transport corridors are absolutely essentially for connecting the Mediterranean Sea coast of Egypt to the Southern Ocean shores of South Africa. It should be remarked that the map doesn’t show that TAZARA also indirectly connects to Zimbabwe via the Livingstone border crossing, and thenceforth the freight that’s passing along it has the possibility to travel onwards to the South Africa-central railway network that integrates most of the Southern Cone. Therefore, should the above-listed projects become fully completed as planned, the only additional construction that would then have to be undertaken is the modernization of the TAZARA and some of its Southern Cone-related networks and the creation of a reliable Egypt-Sudan rail link to South Sudan and Ethiopia. 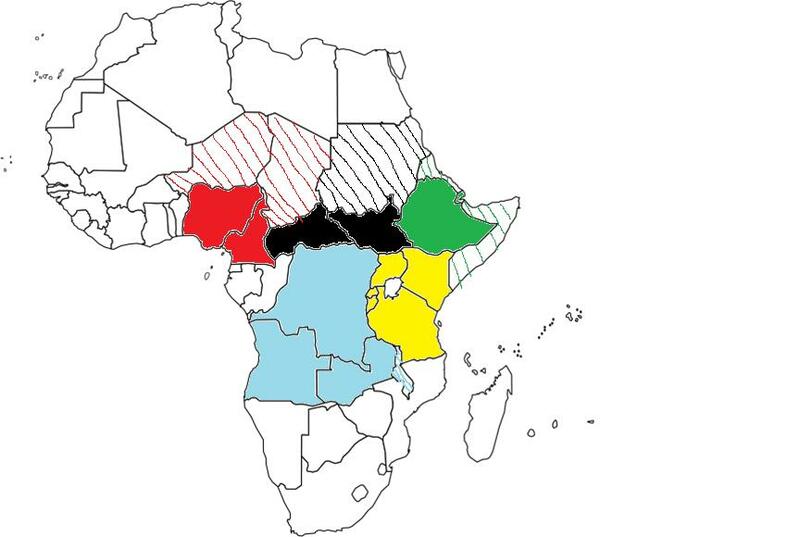 The envisioned north-south connectivity of the TFTA only integrates three of them – Egypt, Ethiopia, and South Africa, while leaving much of the DRC’s potential outside of the economic construct and completely avoiding Nigeria. 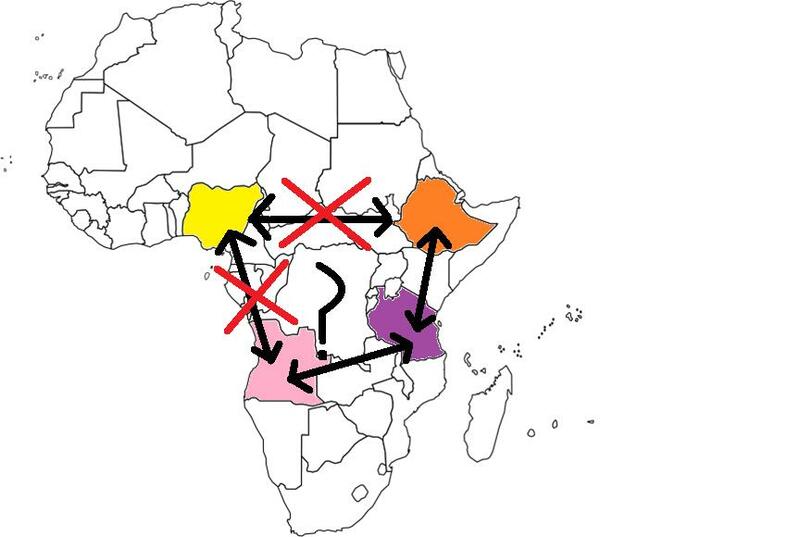 Furthermore, while all of these leadership nodes could theoretically trade with one another via maritime routes, it would be much more efficient if they were also tied together via mainland rail-based ones as well, particularly if this could ever pan out with Ethiopia and Nigeria. Regretfully, however, the Failed State Belt of South Sudan and the Central African Republic indefinitely precludes this from becoming a reality, so the next best alternative in the medium-term is to connect Ethiopia with the emerging economic powers and sub-regional leaders of Tanzania and Angola. 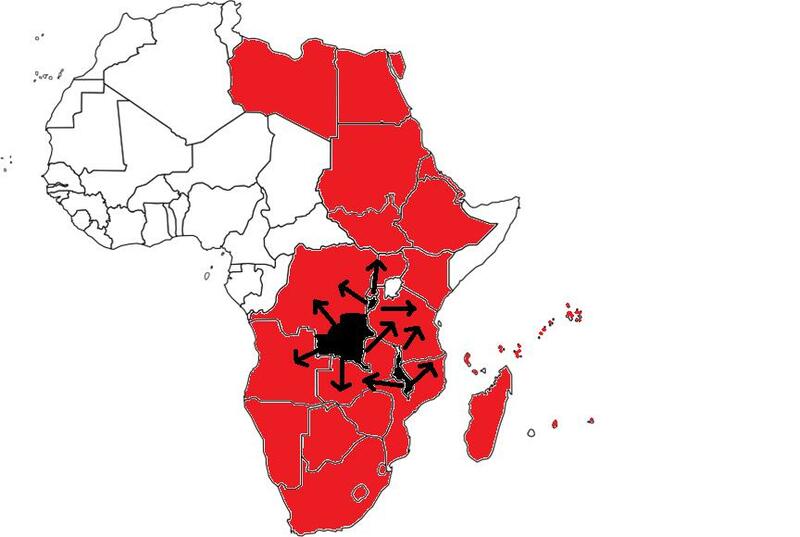 The former could be accomplished via the earlier-examined transport network taking root in the East African Community, but there’s yet to be any discussed possibility of doing so with the latter, nor any viably proposed solution for integrating the DRC into the larger framework. As for establishing a mainland corridor between Nigeria and Angola, there’s no pressing motivation to do so because the Atlantic Coastal space between them isn’t worth the economic investment due to its very small cumulative market size (roughly 6.5 million people), the challenging jungled terrain, the concentration of internationally-coveted resources along the coast, and the fact that existing maritime access routes are cost-efficient and work quite well. The author has carefully observed that it’s not impossible to accomplish the logistical-transport goal of linking Ethiopia and Tanzania with the Atlantic and that the solution lies in the improvisation of two additional transport corridors – one through the DRC and along the Congo River, and the other as a rail route branching off from TAZARA and connecting to Angola. Concerning the first proposal, it’s possible to ship goods down the Congo River from Kisangani, which would become even more important and practical if the city were to one day become connected to Kenya’s SGR project. From the capital of Kinshasa, after having picked up various resources along the way, it’s just another short rail trip to Matadi and beyond the Congo’s unpassable rapids in order to reach the Atlantic Coast. As it relates to Angola, TAZARA can either be linked to Katanga Province’s existing but highly dilapidated rail network or pass through the Barotseland region of western Zambia via the Northwest Railway Project in order to reach the Angolan DRC-bordering rail terminal of Luau. The Benguela Railroad that was recently refurbished with Chinese assistance connects this city to the Atlantic port of Lobito and also has the possibility of integrating with the DRC if Katanga’s nearby railroads were ever modernized and the relevant ones put back online. * Grey: TAZARA-Benguela linkup via the Northwest Railway Project and transit through Katanga Province. Factoring in the existing violence in South Sudan which renders the LAPSSET and SGR projects there unfeasible for the time being, it’s clear to see that China’s far-reaching plans face a formidable challenge in application. Even in the event that only partial segments of LAPSSET, SGR, and the Central Corridor are created, that would still be an impressive victory for the Asian Great Power because the two anchor economies of Kenya and Tanzania are important enough in their own right to warrant the investments and risk involved. Still, it would be most preferable for more of the network than that to be created, especially as it provides the most surefire guarantee of the region’s multipolar sovereignty and the greatest promise of liberating the rest of Africa from direct unipolar influence. Before progressing to the book’s first African regional analysis, it’s worthwhile to revisit the order of research and recall exactly what’s being studied. It’s already been established from the most recent maps why the Hybrid War threats in the Horn of Africa, East Africa, and Central-Southern Africa are being investigated, but as for Nigeria, the sheer size of Africa’s largest economy means that it’s impossible to exclude despite the existence of the Failed State Belt indefinitely preventing the emergence of a reliable Ethiopia-Nigeria mainland route. 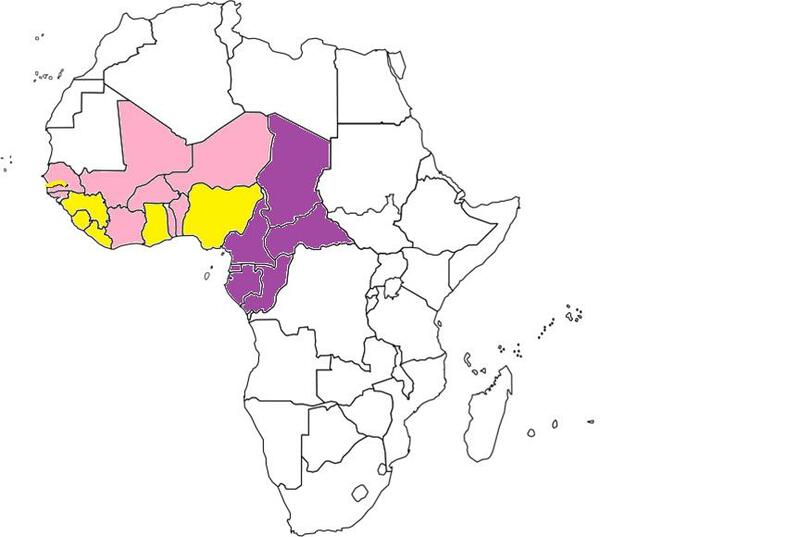 Additionally, because of Nigeria’s inclusion into the work, it’s thereby also necessary to address the Hybrid War threats related to its most relevant Nigerien, Chadian, and Cameroonian neighbors, especially seeing as how they’re all facing the same Boko Haram foe. * Hashed/Thatched Lines – countries that will inevitably become involved in the targeted category states’ Hybrid War destabilization, whether as an aggressive actor, a passive victim, or a blended mix thereof. Going forward, the research will proceed with the order that the map’s key was presented in, meaning that the Horn of Africa will be examined first and the Lake Chad Region will be covered last. Each categorized section may focus either on the region in general or be split up into various parts that more comprehensively study some or all of the affiliated countries. The style will vary depending on what the author thinks is necessary to properly convey the pertinent points in mind, so the reader is advised not to hold any particular expectations about formatting and length. Country studies will undoubtedly be commenced, but it’s unlikely that they will be done on as comprehensive of a scale as the ones for ASEAN. The justification for this difference is seen by all of the Southeast Asian states’ heightened economic importance in the global economy and their premier geopolitical importance in occupying the strategic space between China and India’s overlapping spheres of interests, as well as their ‘gatekeeper’ status in controlling mainland and maritime access to the Indian and Pacific Oceans. 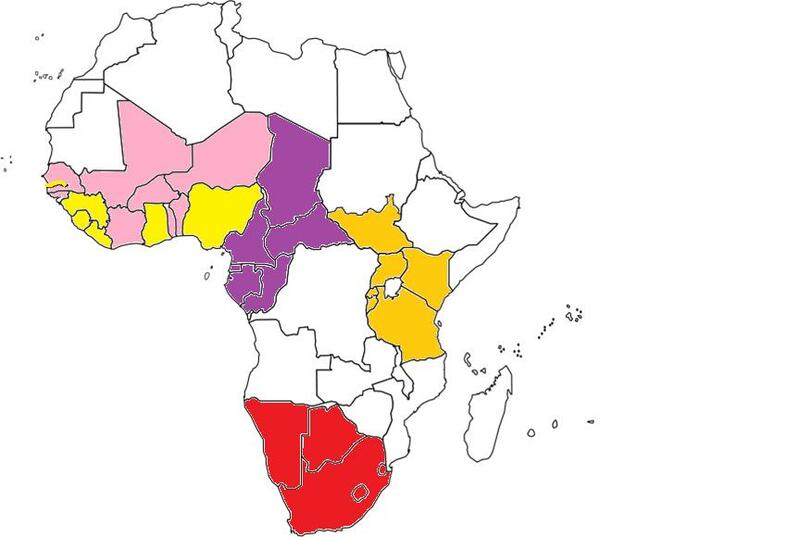 Having explained that, the forthcoming African analyses aim to fully address all the Hybrid War threats facing each specific country and their general region, thereby preemptively exposing the various mechanisms that the US can exploit and hopefully giving the targeted populations and their governments enough time to prepare adequate countermeasures in response.